Our homegrown carmaker Maruti Suzuki has held the title for being the largest automaker in India for a long time now. The company definitely intends to keep things that way and continues to work immensely hard for it. The robust retail and service network, as well as efficient and reliable vehicles at a competitive price, have so far accounted for the success of the company. As the 2018 Auto Expo approaches, all manufacturers gear up for yet another exciting exhibition. 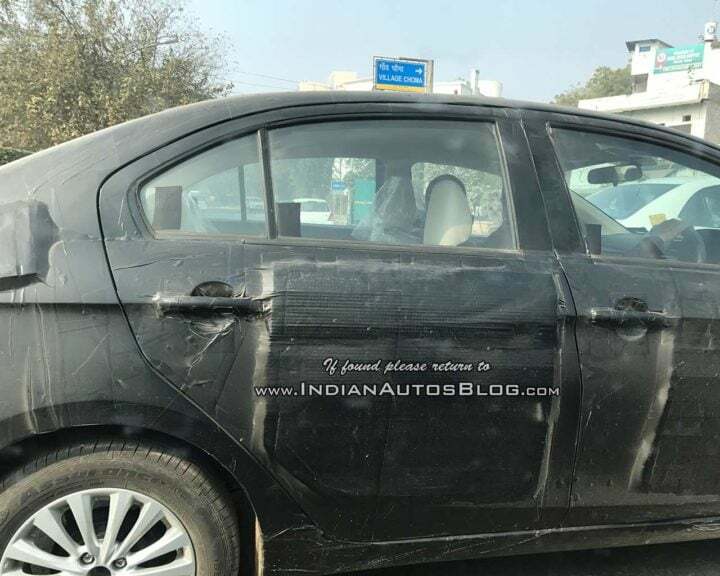 The SX4 replacement, Ciaz is due for a mid-life facelift and we spotted one on the test. Want to know more about the upcoming 2018 Maruti Suzuki Ciaz facelift, read along. Maruti Suzuki has shaped a roadmap for 2018 and you bet its an exciting one. The company plans on launching the Swift first and the same will arrive next month. The 2018 Maruti Suzuki Ciaz Facelift will be the next in line for the launch. 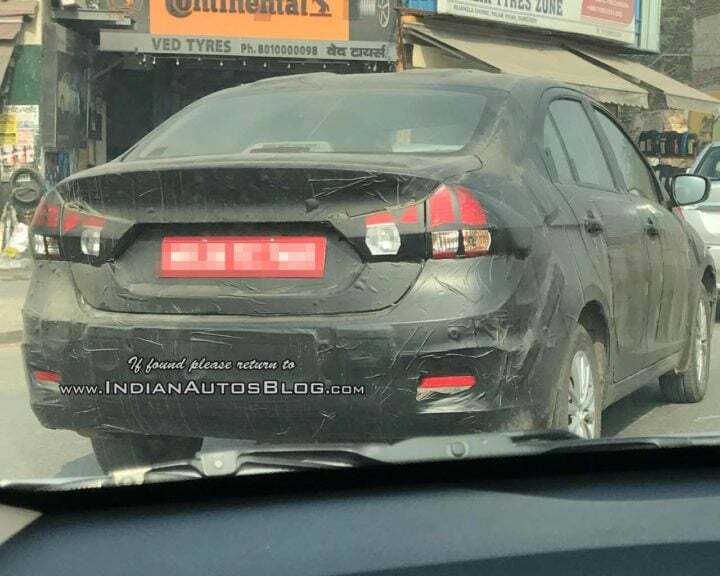 We expect Maruti Suzuki to launch the 2018 Ciaz sometime in the first half of the year itself. The exact details pertaining to the launch are thin right now and we will update you as soon as we have all the details. The current Ciaz range starts at INR 7.53 lakh for the base petrol variant and stretches all the way to INR 10.72 lakh for the diesel top model. Expect the prices to go up by 2-3% for most variants except for the base variant as we expect the company to retain the sticker price on that. The current Ciaz employs a petrol and a diesel engine. The petrol powertrain is a 1.4-litre engine with an output of 92.45 PS of power and 130 Nm of torque. The diesel is a 1.3-litre engine that churns out 90 PS of power and 200 Nm of torque. The company has successfully tested the indigenously developed 1.5-litre diesel engine and we expect the company to introduce the engine on the upcoming Ciaz facelift. Also Read – All new 2018 Swift spied before launch! The upcoming 2018 Maruti Suzuki Ciaz Facelift will feature minimal visual changes on the exterior. As with any facelift, the bumper, grille, lights are the main factors to carry the modifications. At the front, the 2018 Ciaz facelift will carry new design on the radiator grille, lower grille, and bumper. We expect Maruti to employ projector LED headlamps as well with the MY2018 update. On the side, most remains same except for the new 15- and 16- alloy wheel which might feature a new design. The details pertaining to the rear are slim as the spy shots have limited access. We will update you regarding the same as soon as we receive confirmation on the same. On the interior front, the 2018 Maruti Suzuki Ciaz Facelift will largely remain the same as with the current model. We expect Maruti Suzuki to introduce new trim and upholstery and update the infotainment system to match it to the other existing model. Stay tuned for more updates from Maruti Suzuki.